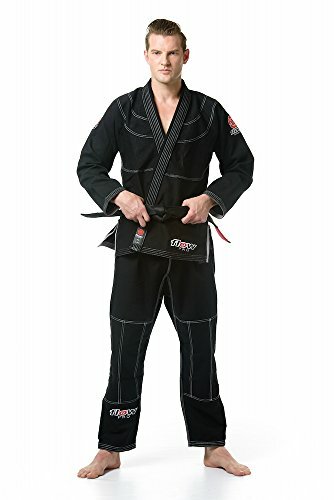 Light weight Brazilian Jiu Jitsu uniform,Great quality for a low price You can use it for Brazilian Jiu Jitsu, mixed martial arts, mma,training and competitions for all mixed martial arts. Seamless on the back of the jacket this Brazilian Jiu Jitsu uniform also has a rubberized collar for better grip and wearing,reinforced in all seams,strong pants .This is a high quality BJJ Uniform. Comparable to any of the expensive ones for a unbelievable much lower price. 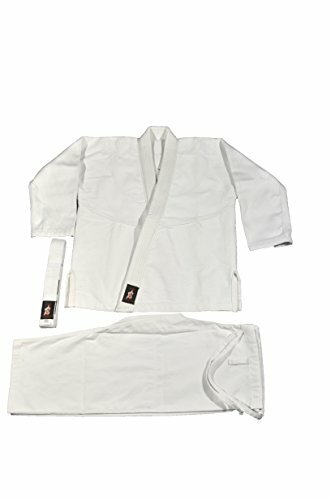 FREE WHITE ALL BJJ GI! 350 is lighter fabric similar to Sanabul and Elite but with NO BRANDS ADVERTISING ON IT!. 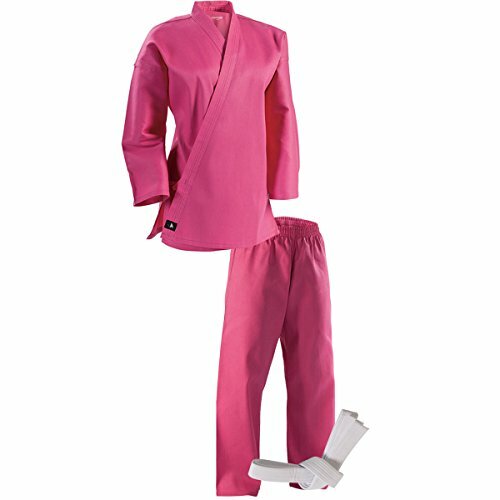 High Quality Brazilian Jiu Jitsu Uniform or gi special cut. Completely blank.NO LOGOS. No advertising on it. You add whatever YOU want on. Lighter than the double weave, and more durable than the single.High quality and durable fabric. Better than the more expensive ones.Just look the pics and compare it to the others. Design:Rubberized collar for better wearing and hygiene. Made by very experienced people that have been on the mat for more than 40 years. 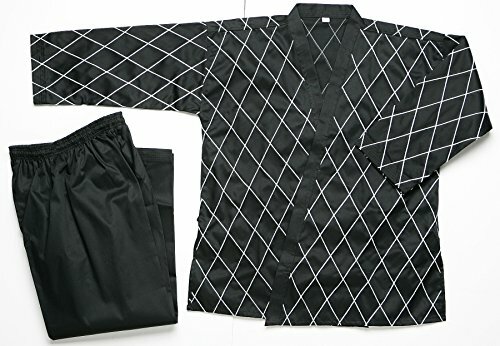 Allows you to move.This BJJ Uniform is pre shrank,but it can still be shrink by cold wash and drying it on high once or twice if necessary. 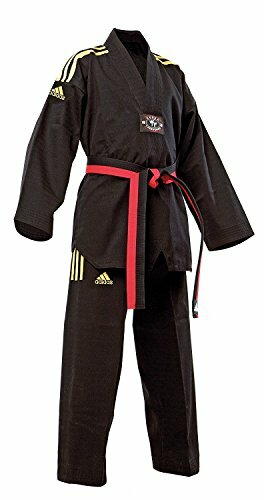 White belt included with purchase. The Venum "Challenger 2.0" Kids BJJ Gi has been designed for the future, the upcoming Brazilian Jiu Jitsu Talents! The next Black Belt Hunters. Built with the best Pearl Weave cotton on the market, the Venum "Challenger 2.0" Kids BJJ Gi provides comfort and resistance. 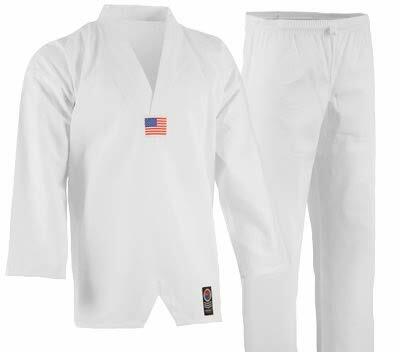 This premium cotton fabric, coupled with the reinforced stitching, make this Gi's ultra-durable, with an optimized moisture management and an upper resilience to the grips, the stress and frictions. Thanks to its lightweight 410gsm (gram per sq meter) fabric and its cotton pants, this Venum Gi's will not retain your mobility and will be easy to carry. Stylish details complete the sober design of this Gi's making you even more confident proud to step forward at BJJ classes. Equipped with a fast elastic system at the waistband: no time to lose, you are ready to challenge! - Jacket fabric: Pear Weave cotton. - Fabric weight: 410 GSM. Venum Gi's Do NOT come with belts. This Brazilian Jiu Jitsu Gi is quick-drying and fully breathable for unmatched comfort. Triple-stretched for superior quality and durability ensuring this BJJ Gi will stand the test of time for kids and youth. 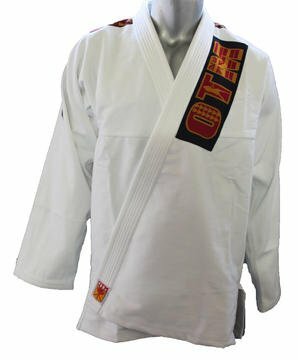 BJJ Gi has patch detailing on lapel, back, and legs. 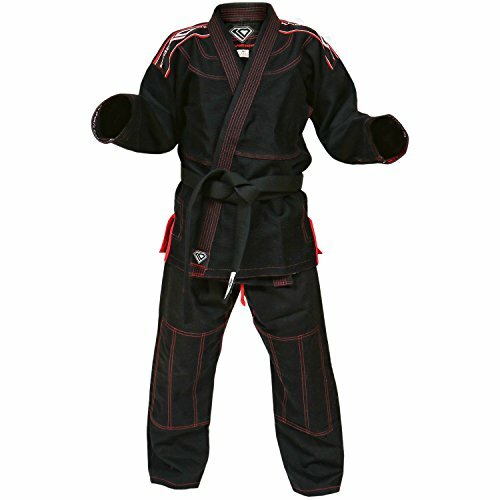 Stretch waistband allows the BJJ Gi to grow with your child. 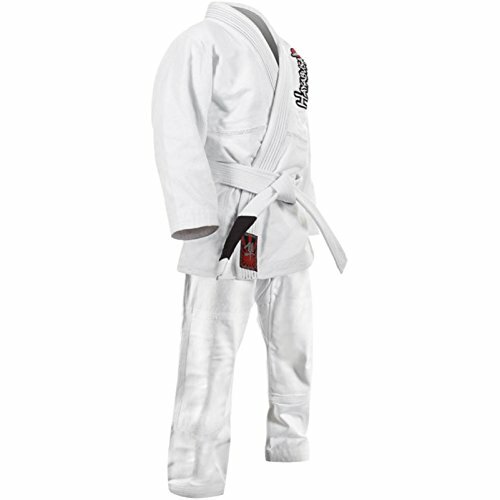 Hayabusa Cotton Yuushi Youth BJJ Gi is 100% pure cotton - preshrunk for an Ideal Fit. 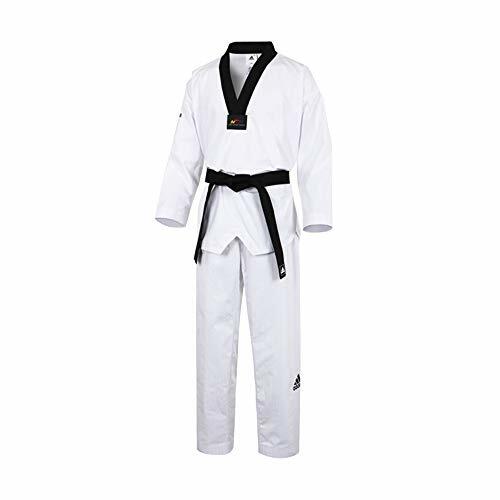 Excellent for training in hot conditions, these 5oz Ultra Lightweight Tae Kwon Do are a top quality blend of 55% cotton and 45% polyester. It is uniform comfortable and easy to care for. Machine washable. Reinforced stitching at seams for added strength. Distinctive white trim v-neck styling. 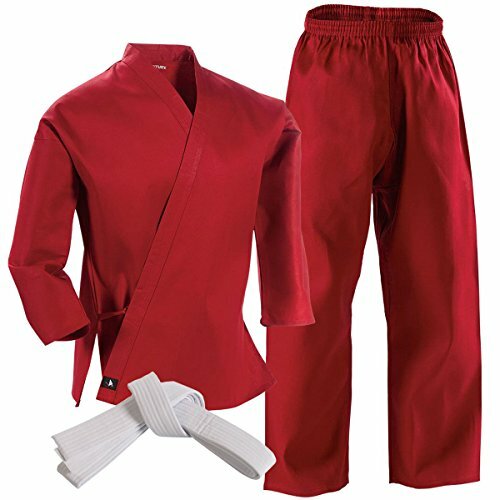 Set includes v-neck jacket, elastic drawstring waist pants and white belt. This new superlight gi was designed by Scott la Rock from the world famous Da Hui crew on the North Shore. It features authentic Hawaiian style art that is all embroidered and woven label. No cheap silk screened logos. This will be a limited edition gi. This is a new superlight weave that is very breathable and yet still very durable. The whole gi weighs less than 3 pounds and is perfect for training on a hot Hawaiian day or where ever you are. T The pants are a light weight rip stop material with a triple gusset crotch. Pants are triple and double stitched and re enforced in all the right spots. Draw string is folded fabric so it will not rip or stretch. The collar is a UVA foam collar with rip stop material. We strive to make your purchasing process fast and easy. 8 oz Rip Stop and Double Fabric in the knees and lower leg and rope belt for a secure fit. Contrasting stitching, belt and trim on these gi pants makes the colors pop. These colorful Kung Fu sashes are a great accessory to add to your uniform. 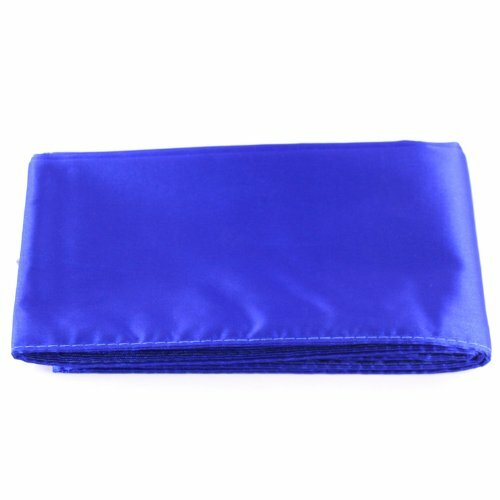 Made from light weight satin, these sashes measure at 4" x 120" and are available in red, brown, orange, yellow, green, blue, purple, white, and black. Please don't settle up with knock off products. 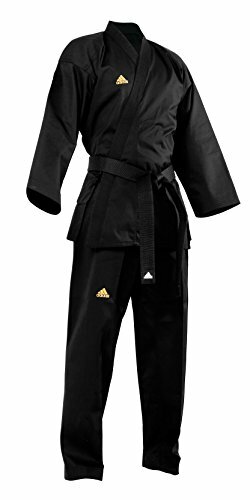 Please purchase directly from only Ace Martial Arts Supply authorized dealer- Martial Arts land to receive a quality product. Rubberized collar means a safer and cleaner uniform.Lighter than the double weave, and more durable than the single.High quality and durable fabric. Better than the more expensive ones.Just look the pics and compare it to the others. Great price,Comfortable, lightweight, and strong.Comparable to any of the expensive ones but for a unbelievable much lower price. Good news to ITF, Moo duk kwan, and Tang Soo Do community! Designed with new open cut, this uniform adds style to the traditional uniforms available in black. The ribbed and corded fabric produces clean lines and uncluttered look. Elastic Waist Drawstring Pants. 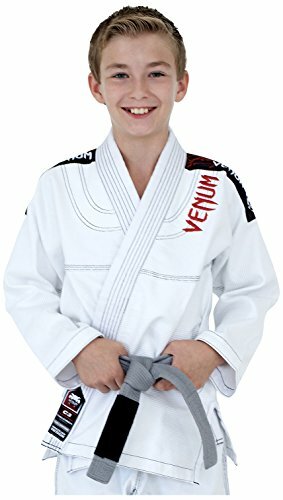 The Venum original GI series, now comes in kids sizes. The new Challenger 2.0 Jiu-Jitsu GI has a new updated look and improved features. Its subtle yet elegant design makes it the perfect training partner.